Stephen Emmerson – Poems Found at the Scene of a Murder. 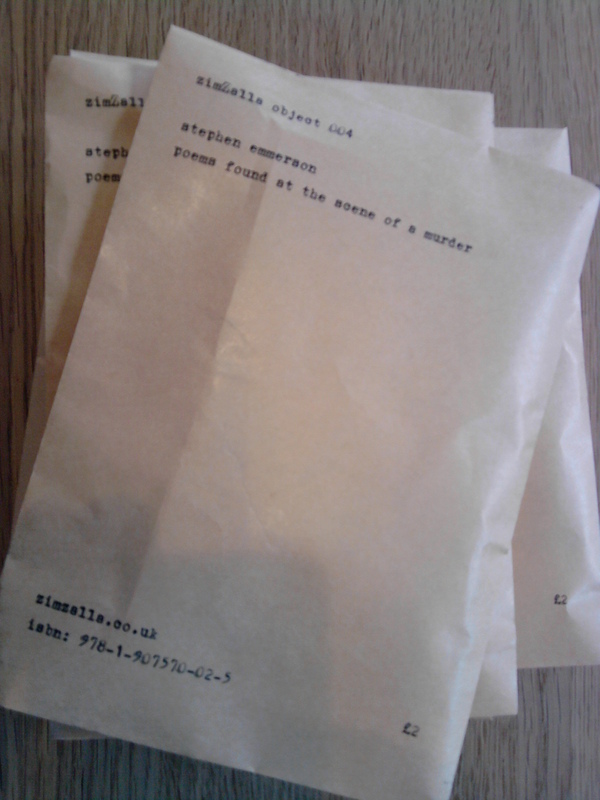 Poem postcards in envelope. Please email mail@zimzalla.co.uk for details. Click here for a sample. 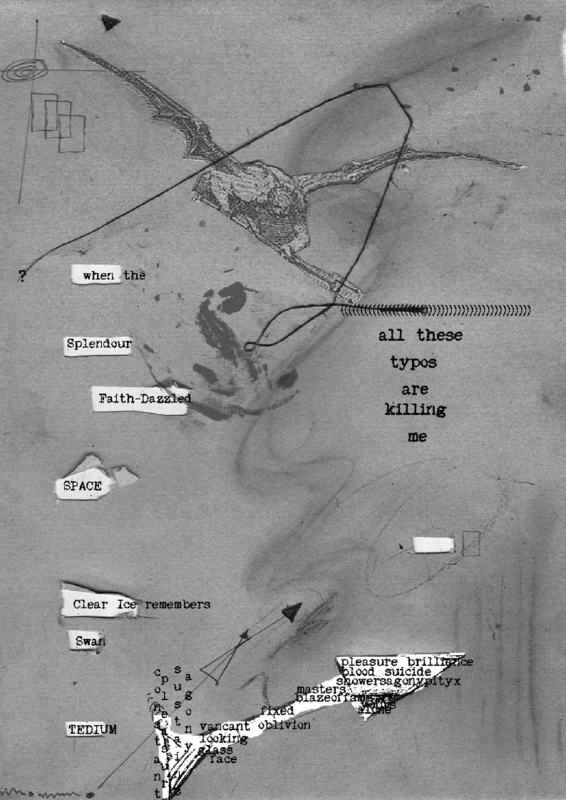 Stephen Emmerson’s chapbooks include, ‘X’ The Arthur Shilling Press 2009, and ‘Attack of the Gas Powered Angels’ KnivesForksandSpoons 2010. Since these publications he has adapted a more conceptual non linear approach to poetry. He recently read at Morden Tower for the FREAKLUNG ODEs anthology launch in memory of Barry MacSweeney.